Bored? How much? Enough to watch Sonic the Hedgehog cartoons? Allow me (and Hulu) to be your salvation. 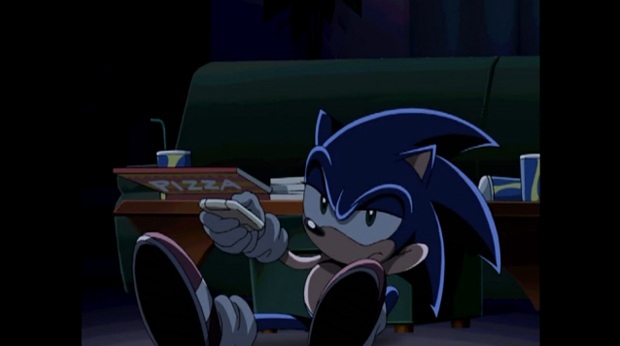 This weekend, the entire first season of Sonic X, hailed by many as one of the worst series based on the blue speed demon ever to be televised. Of course, that's in no small part due to the horrible localization that American audiences experienced. In bringing it over to the States, 4Kids took out all of the alcohol use, cursing and romantic themes that had originally been present in the series in order to protect all our innocent chilluns. That, coupled with the sub-par voice acting that the distributor operates in-house, pretty much killed any chance that the show would be good. But that's not what this is. Hulu's release of 26 episodes are the original Japanese cuts with English subtitles. And, having watched a couple of them now, it's really not as awful as I remember. You almost certainly have better things you could be doing but, let's be honest, you wouldn't be here right now if you wanted to accomplish something.